Many lucky ducks will be jetting off to Spanish coastal resorts this summer; enjoying plenty of sun, snacks and sangria. However, for those of us left behind – and ‘jokingly’ threatening to ‘hop in your suitcase’ – we can still scoff a little piece of paradise. 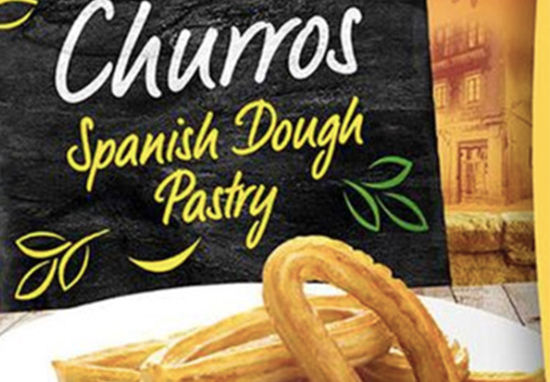 Good old Lidl are bringing you back your favourite Spanish dough pastry snack – churros – for just 99p for a weighty 500g bag. In a handy move for lazier would-be-bakers, these sweet swirls are pre fried and (almost) ready to go. Just heat them up in the oven for 15 minutes and serve with a dip or topping of your choosing. Nutella is of course always a winner, but toppings such as Cinnamon-sugar, gooey caramel or chocolate custard all sound equally delightful. I am particularly intrigued by the melted chocolate with chilli combo favoured by true churro enthusiasts. Lidl shoppers are understandably thrilled at the prospect of sampling this quintessentially summery dessert once again. Public service announcement: LIDL SELL FROZEN BAGS OF CHURROS. Oh!!!!!!! I was searching for some diet on twitter and came across this! Mmmm… Diet out the window! Oh!!!!!!! I was searching for some diet on twitter and came across this! Mmmm..
Blimey… gotta get down to get some… how long are they in for?? There are 157 calories and 4.9g of sugar per 100g of Lidl’s churros, so this really isn’t the most sinful snack you could go for (so long as you’re prepared to share). However, do bear in mind the additional naughtiness once you factor in your favourite topping or dip. Lidl’s Choco Nussa chocolate spread with hazelnut would be one particularly lip-smacking option. You can pick up a 400g for £1.09, which is pretty good going when you consider a 200g jar of Nutella would set you back £1.60. For fancier types, Marks & Spencer are also selling a 20 piece pack of Churros for £8. Tesco is also getting in on the Churro fun bus, flogging 220g bag of 12 mini churros with yummy hazelnut-filling for a pretty reasonable £2. You could bring "chocolate a la taza" next time ? to dip those Churros ? For those strange people who are not yet aboard the Churro bandwagon, these are traditional snacks often served in Spain and Portugal, beloved by generations of peckish British tourists. Made from choux pastry, they are kind of doughnut-esque in many ways. However, instead of soft-puffiness, you will find a satisfyingly crisp outer shell. Mmm-mm. Never heard of churros Peter? You haven't lived! We recommend you get some and dip them in chocolate, mmmm. These tasty treats are only available while stocks last, so hot foot it down to Lidl now like it’s the very last sunbed on the beach.